The San Diego Aftershocks are Derby United's premier Men's Team. 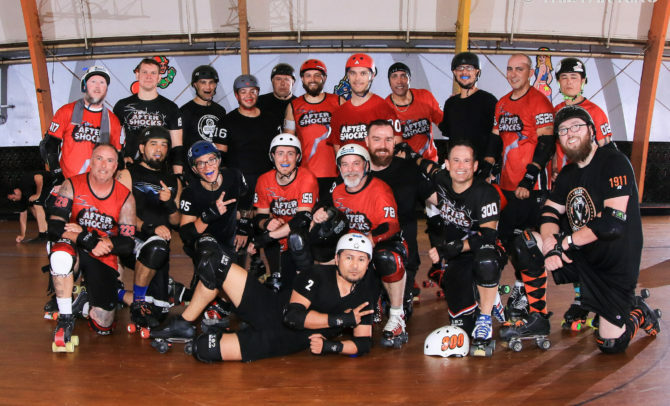 Having made many appearances at the Men's Roller Derby Association (MRDA) Championships, this team is a perennial powerhouse. Founded in December 2010, the Shocks compete internationally and strive to continue the expansion of the sport of roller derby. 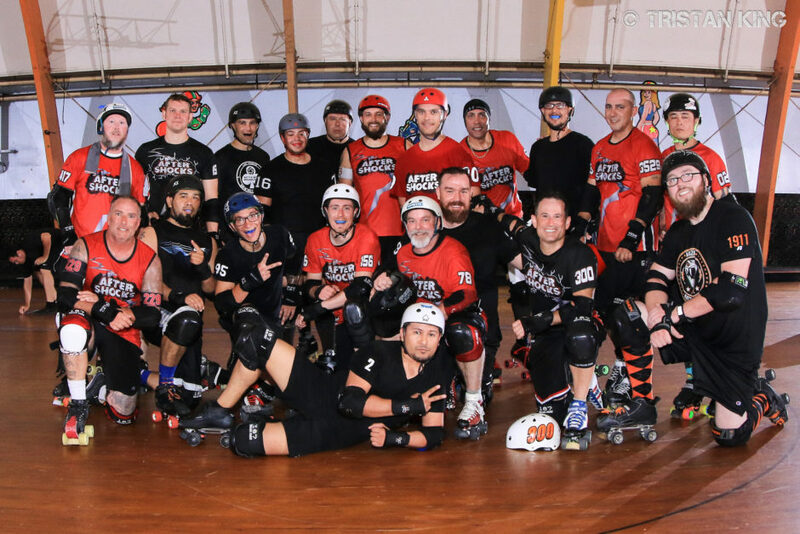 Men's Roller Derby Association (MRDA) members since 2014 and are currently ranked #7 in the world, the Aftershocks make themselves felt in the world of derby. The program is always recruiting! No experience necessary. The Aftershocks are an MRDA program which is open to all genders.